type40 - Doctor Who news and views: TAKE A TARDIS TOUR! 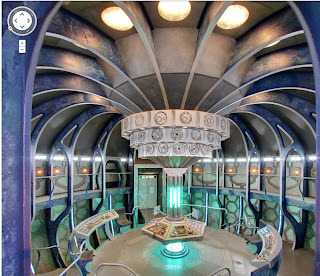 Ever wondered what it would be like to take a tour inside the TARDIS? Google Maps now gives you the opportunity to look inside the Earl's Court Police Box. It reveals the console room in all its glory and is an absolute must for anybody who’s long been wondering where the TARDIS toilet is. Click here to see for yourself.